A magical breadbox that delivers whatever you wish for-as long as it fits inside? It's too good to be true! 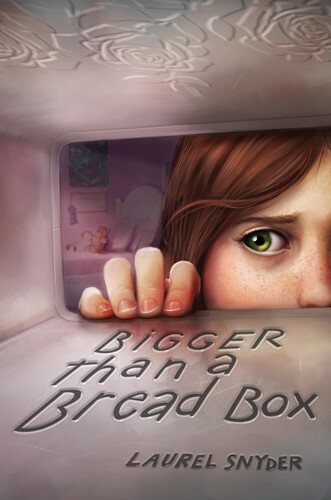 Twelve-year-old Rebecca is struggling with her parents' separation, as well as a sudden move to her Gran's house in another state. For a while, the magic bread box, discovered in the attic, makes life away from home a little easier. Then suddenly it starts to make things much, much more difficult, and Rebecca is forced to decide not just where, but who she really wants to be. Laurel Snyder's most thought-provoking book yet. From the Hardcover edition.